Born in Beirut in a family of musicians, Abdel Rahman El Bacha has begun his study of the piano in 1967 under the tutelage of Zvart Sarkissian. At the age of 10 he played his first concert with an orchestra and Claudio Arrau predicted a major career for the pianist. After entering the Paris Conservatory in the class of Pierre Sancan, El Bacha graduated with four 1st prizes (piano, chamber music, harmony and counterpoint) and won the prestigious Queen Elizabeth Music Competition in Belgium at the age of 19. 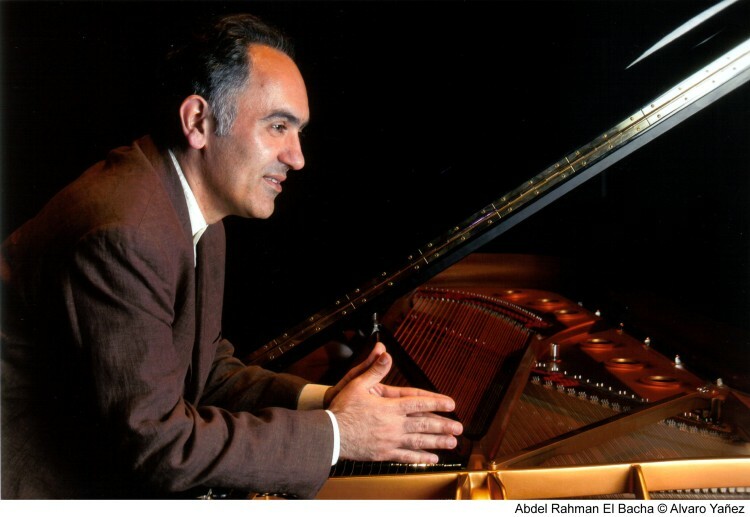 Abdel Rahman El Bacha is considered one of the great piano masters on today’s stages and performs in all of Europe, in the United States, South America, Japan, Russia and in the Middle East. His extensive repertoire entails more than 60 concert programmes, based mainly on works by Bach, Mozart, Beethoven, Schubert, Chopin, Schumann, Rachmaninov, Ravel and Prokofiev. Under the direction of famous conductors, he has acocmpanied some of the greatest orchestras, including the Berlin Philharmonic, the Orchestre National de France, the Royal Philharmonic Orchestra and the Tokyo NHK. From the hands of Mrs Prokofiev in 1983, he has received the top prize of the Charles Cros Academy for recording the early works of Prokofiev, released on the Forlane label. For the same company he has recorded works by Bach, Ravel and the complete set of Beethoven’s 32 sonatas, bringing him great acclaim and hailed a “major event” by the press. El Bacha has recorded the complete works of Fryderyk Chopin for solo piano on 12 CDs. He later performed all the works live in chronological order over six consecutive days in a number of cities, and also at the La Roque d’Anthéron Festival. Abdel Rahman El Bacha has also recorded many albums of Russian music, in particular Prokofiev’s five Piano Concertos and Rachmaninov’s 24 Preludes. He is curently working on a new record of works by Prokofiev, scheduled for release by the Mirare label in 2012. He has also recorded French music – piano concertos by Saint-Saëns (2008) and the complete works of Ravel, released on the Triton label in 2010. Abdel Rahman El Bacha has held French and Lebanese citizenship since 1981. He is also a composer. In 1998 he receieved the order of Arts and Letters from the French Minister of Culture and in 2002 the Lebanese Order of Merit from the president of the Lebanese Republic – the highest distinction in his homeland.